The country of Cameroon is located on the continental “hinge” between West and Central Africa. It has 475,442 sq. km. with a population of over 16,000,000. Cameroon was a German colony from 1884 to 1919, at which time it was divided between Britain and France. After receiving its independence the English-speaking smaller section of the country united with the French speaking larger section and formed a united country with Yaonde as its capital. Both English and French are official languages. There are 277 tribal languages also spoken in the country. Over half of these languages still do not have a single portion of Scripture. Muslims comprise 25% of the population. Over 66% consider themselves to be Christian. In 1972 Prison Mission Association opened a Bible Correspondence Fellowship in Kumba, Cameroon, under the direction of Mr. Lawrence Asong. Through this office free Bible study courses were provided to more than ten different African countries, as well as throughout Cameroon. In the late 1990s Grace Bible Institute was founded under the leadership of Rev. Vern and Darlene Anderson. After the death of Mr. Lawrence Asong in 2001 Grace Mission Cameroon and Prison Mission Association requested that Grace Ministries International take over the responsibility of this ministry in collaboration with the national church organization (Grace Mission Cameroon). 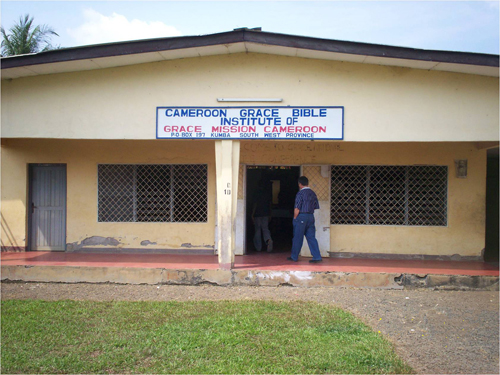 GMI accepted the request and in 2004 Cameroon Grace Bible Institute reopened its doors. At the present time there are 6-10 churches and a number of preaching points. 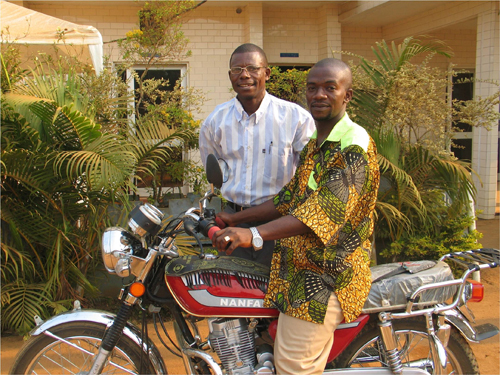 We are praying that the Lord will raise up missionaries who will go and serve the Lord in Cameroon.